If you’re like me, you switched your default browser over to Chrome years ago and never looked back. Chances are, before you made the switch, you used Firefox or — God forbid — Internet Explorer. What made Chrome stand out back then was its speed and simplicity, especially at a time when Firefox felt like it was getting slower and heavier with every update. But times have changed. It’s now time to give Firefox another chance. It’s no secret that Mozilla squandered a lot of time and energy on various projects that went nowhere (think its mobile phone OS, IoT services, creating a built-in video chat service, etc.). The organization also got caught up in some political turmoil and it took a while for it to recover from all of this. There’s no point in belaboring this. What matters is that Mozilla seems to have found its groove and focus again — and it’s starting to show. Over the course of the last few years, Mozilla’s engineers were hard at work on a couple of projects that are now finally coming to fruition. 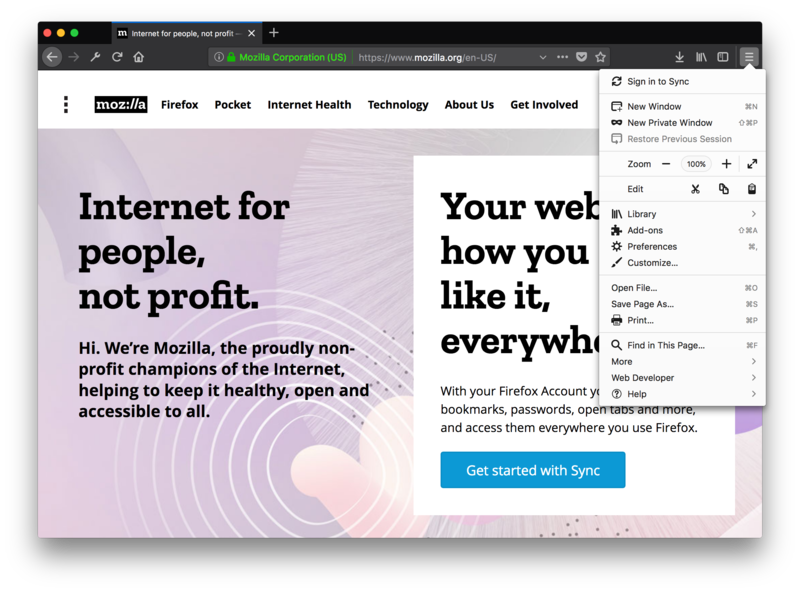 Building these took longer than expected (and maybe necessary), but with Quantum, Mozilla now offers a browser that’s worth installing again. 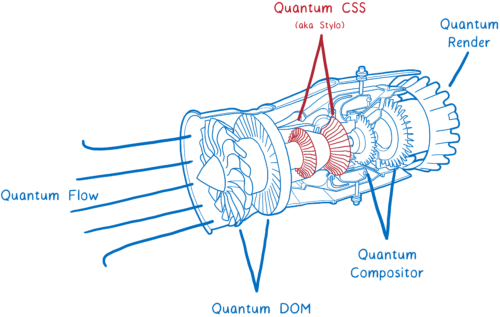 Many of the updates in Quantum come from Mozilla’s experimental Servo browser and engine. Servo was never meant to be released as a standalone project, but was basically the incubation chamber for the future of Firefox. That engine was written in Rust, a programming language Mozilla developed for exactly this kind of use case. This means that, unlike previous versions, Firefox Quantum can now take full advantage of multiple CPU cores — especially when it comes to its CSS engine, which plays a major role in how fast a web page renders. Ideally, this also means Firefox now uses far less memory (and often this means it’ll actually use less memory than Chrome). The team also used this release to introduce a new interface. This means that the rounded tabs are gone, for example. The new interface focuses on simplicity and speed. Like previous versions, you can still modify the interface to your heart’s desire, but that interface will now also look good on high-DPI screens and work better on laptops with touchscreens. Like before, Mozilla continues to ship Firefox with built-in support for Pocket. I appreciate that because I’m a heavy Pocket user, but not everybody is happy about this decision. Firefox Quantum also features a built-in screenshotting tool and a distraction-free reading mode. I’ve been using the nightly version of Firefox for a few weeks now, leading up to this release, and the difference between these new versions and the old Firefox is night and day. It feels fast and light and I may just make it my default browser again once the stable version comes around. I still have a few small gripes, of course. Why are the scollbars in Tweetdeck so ugly, for example? And why hasn’t LastPass launched a compatible version of its plug-in for the Firefox 57 beta yet (not like that’s Mozilla’s fault, but users don’t care)? Is Firefox Quantum significantly better than Chrome? No. But they are on par again, and choosing a browser is often a very personal choice. Personally, I like the idea of getting a browser from an independent party. Until now, the trade-off between a fast Google-linked browser and a slow independent one wasn’t worth it for me. Now that they are both comparable again, that balance is shifting. Plus, while Mozilla wasn’t looking, competitors like Vivaldi, Brave (from Mozilla’s ousted former CEO Brendan Eich) and others have sprung up, while Opera and others still hang in there, too. The final version of Firefox 57 is scheduled to launch on November 14. Until then, you can check out all the new features in the current beta and developer releases.